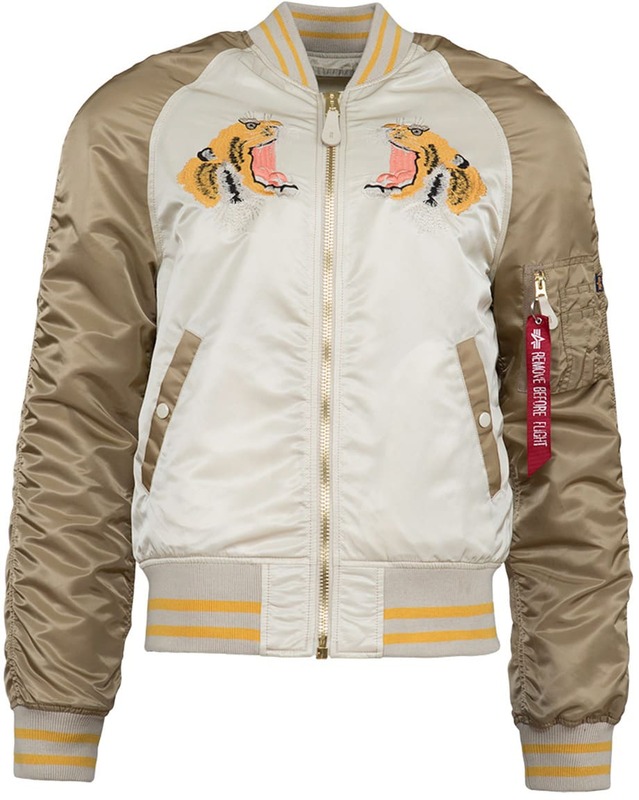 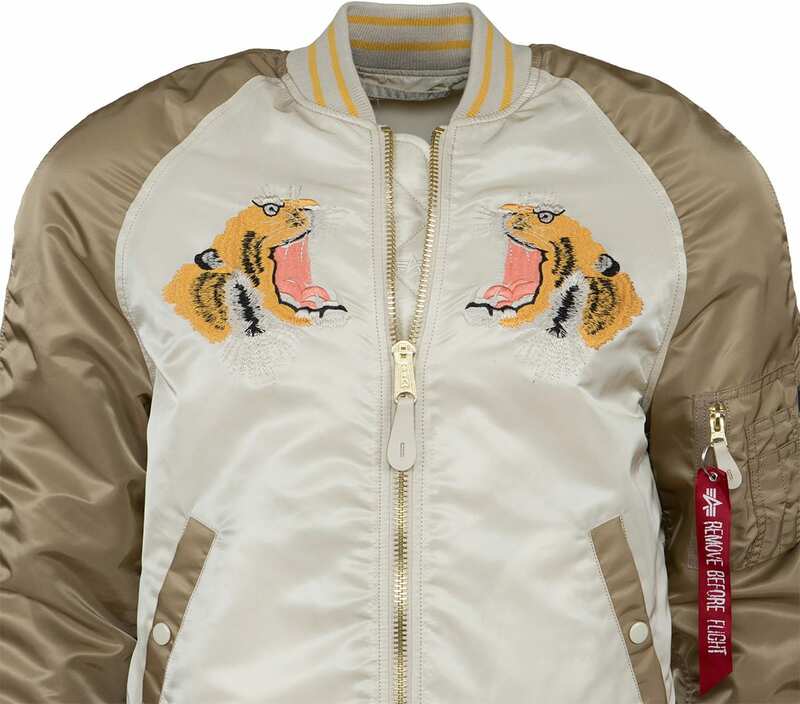 The newest member of our souvenir collection is this lightweight bomber. 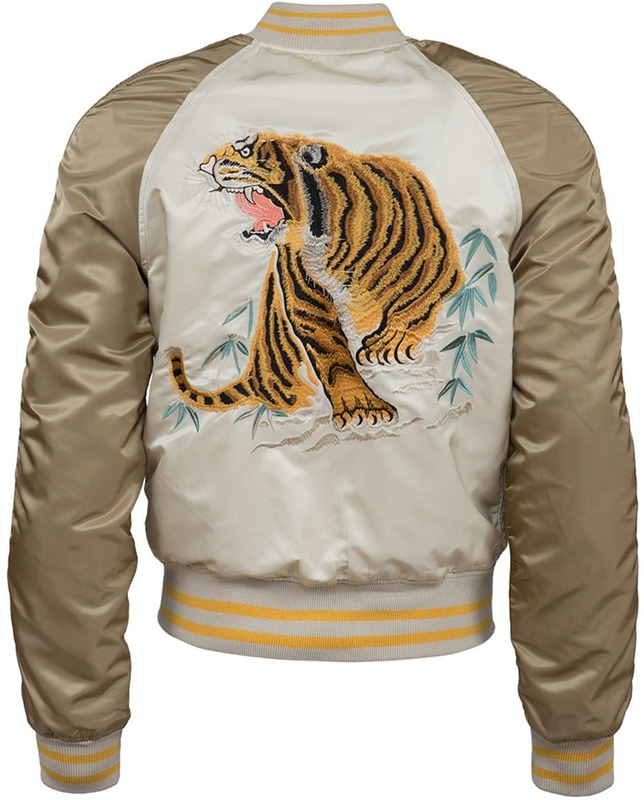 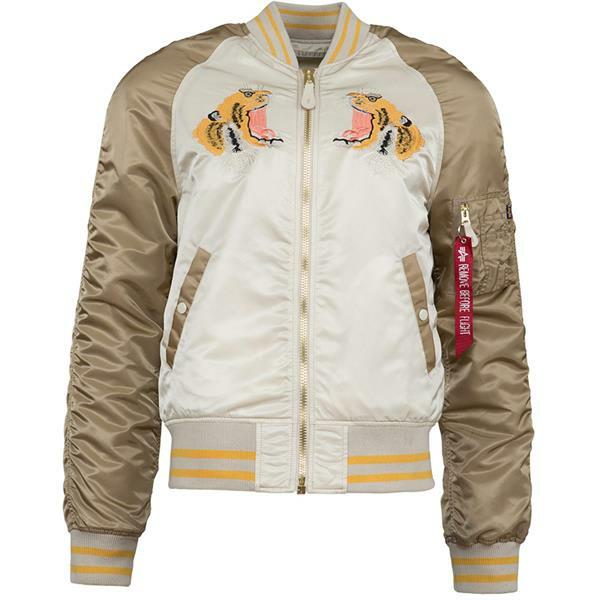 The tiger embroidery on the chest and on the back symbolizes power and fierceness. 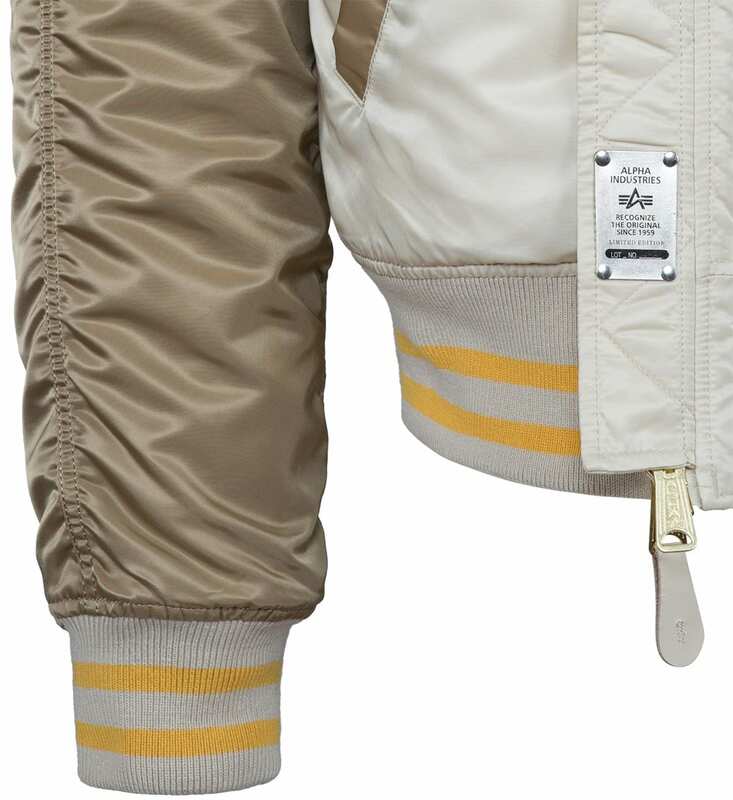 The vintage white/sand flight-nylon shell with no fill is perfect for the warmer temperatures.